In a year where great directors are coming out in mass, it’s a little disheartening to see someone like Steve James get lost in the shuffle. His new film, The Interrupters is about social inequalities, and as such, will likely get little play outside of a handful of markets. But with The Interrupters, James has completed a trilogy of documentaries that stand as monumental achievements in analyzing the social and economic setting of the disadvantaged. With Hoop Dreams (1994), Stevie (2002), and The Interrupters, James paints a tapestry of lower class strife that is socially conscious and emotionally astute – it’s about as close as one can get to capturing reality with a camera present. The Interrupters deals with Chicago’s CeaseFire Interrupters who serve as violence mediators. 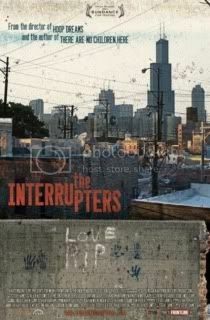 Interrupters attempt to reconcile arguments around the violent southside of Chicago – they rush to scenes of violence and attempt to calm opposing sides. Prevention is CeaseFire’s intent, wherein they are not trying to embark upon grandiose tasks such as dismantling gangs – they’re simply trying to prevent more people from getting killed. In a particularly tense scene, we see one of the few female Interrupters going toe-to-toe with two larger men – one brandishing a rock while the other sports a butcher knife. The scene takes place in broad daylight, with the violence and a growing crowd spilling over onto the streets where traffic persists. Deadly violence is narrowly avoided, with violence Interrupter Ameena Matthews walking out of the situation unharmed – it’s all in a day’s work. Chicago’s CeaseFire Interrupters are comprised of reformed gang members who have seen the cycle of violence affect their neighborhoods and ruin lives. They are also the best individuals to go out and actually attempt to initiate social change. CeaseFire Interrupters have the credibility among gang members to actually be heard – and unlike local authorities, can access worlds that are unseen by police and authority figures. The fact that Steve James was able to capture these worlds is a testament to his patience and trustworthiness as a documentary filmmaker. As the film unfolds with its seasonal narrative structure, one begins to understand where this violence is stemming from – it’s more a visceral submission to violence over rational thinking. Most of the situations that CeaseFire contends with are based on personal conflict– they break up fights between people who have felt that they were wronged. This sort of reaction seems to be built on the socioeconomic space in which they inhabit. Dr. Gary Slutkin, founder of CeaseFire, essentially promotes the notion that violence ought to be treated like any disease; “violent activity predicts the next violent activity like HIV predicts the next HIV, and TB predicts the next TB”. It’s a philosophy that I don’t entirely agree with, and thankfully, James’ doesn’t seem too concerned with it either – he’s obviously mining for a narrative that allows the audience to perceive the injustice as we see it. It strikes you very viscerally, and therefore, it’s most effective at spurring a reaction. I live in the rather prosperous Lincoln Park neighborhood on the northside of Chicago. Only recently, at my early twenties, have I ventured into the neighboring southside. And even then, there are certain areas that I have been told are off limits. 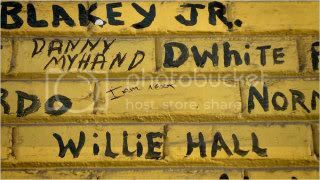 Imagery of death and violence are what persists in this section of Chicago – images of urban decay and stagnation. There’s a fear that makes the southside the other. Steve James doesn’t attempt to dress up the southside here – you see the boarded up houses in Englewood and hear the sounds of police sirens permeate in Little Village. But the stories of all the individuals in these neighborhoods are so rich in humanity. They don’t fight and claw to escape – instead, they’re trying to make the neighborhood better. Ameena Matthews loves Englewood – she reminisces of growing up there as she strolls down the neighborhood. Police sirens go off. It’s just not safe. As an Interrupter, she just wants to make it safe.